Here’s another striking custom sign we produced for It’s The Flash Pack agency. 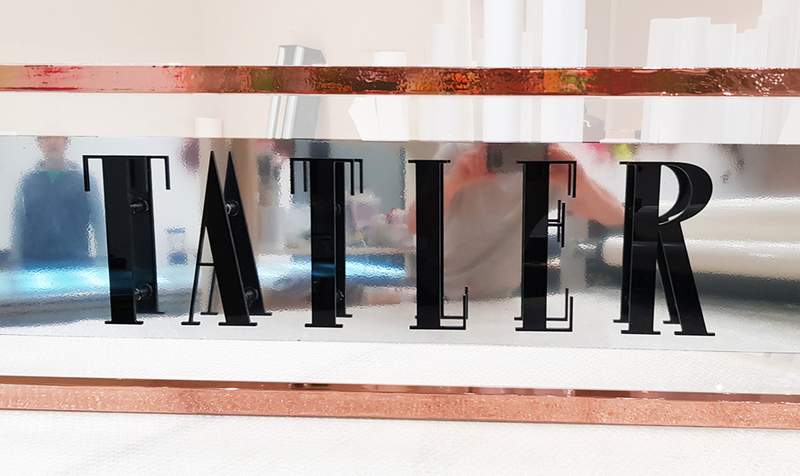 Consisting of a clear acrylic face, with a mirrored rose gold raised border and silver vinyl on the central section, gives the illusion that it is floating. 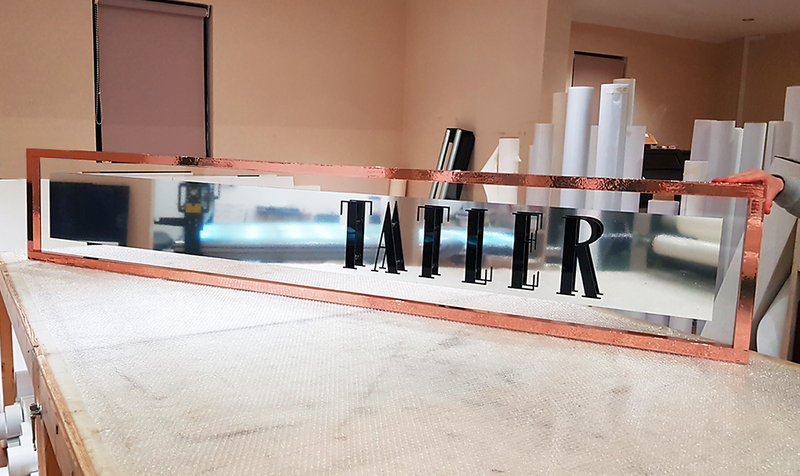 The Tatler logo’s black gloss profile-cut acrylic letters stand out very nicely. 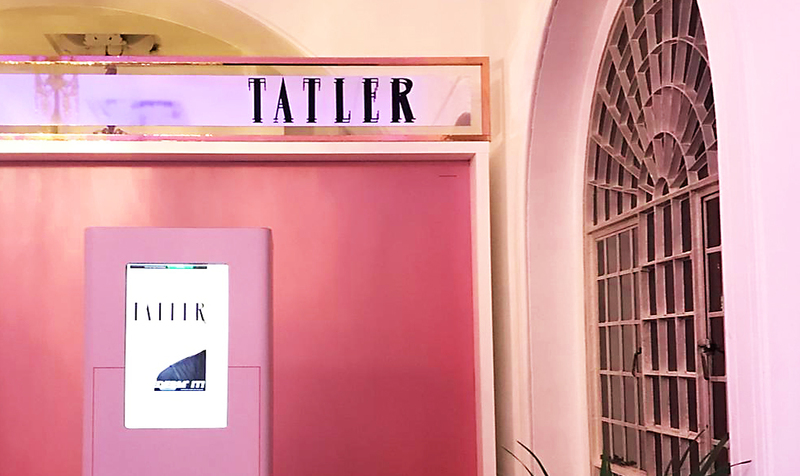 We also wrapped the freestanding Photobooth with branded vinyl graphics. Check out some of our others signs here and get in touch if you’re looking for something unique!